I feel saying Karuizawa can be really good is like preaching to the choir. Well. It can. But it can also be overwoody and overly ‘sulphurous’. Of course many like woody and sulphurous and that’s a match made in heaven. 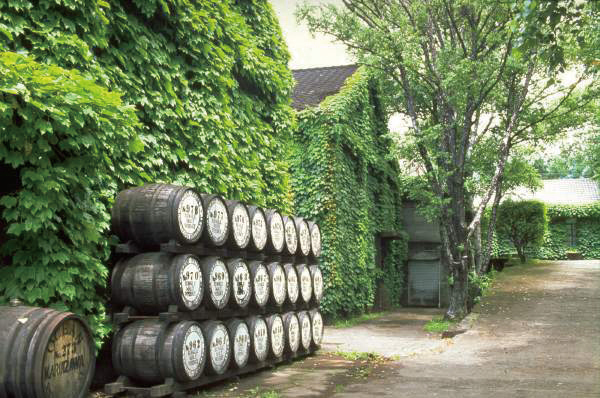 Unlike the purpose built Suntory and Nikka distilleries, Karuizawa was ever meant to make one heavy style of whisky destined for blending. Output was small, just 150,000 litres, but distilled in very small (<4000litres) lamp shaped stills, coal fired till 1970, from Golden Promise which was peated to a low level – till the later 90s when it went unpeated. Also very importantly, the newmake was matured in mizunara and a very high proportion of high quality sherry casks. Do you need a list of all the ingredients the industry needs for making the best whisky it can in living memory? Please read this paragraph again. 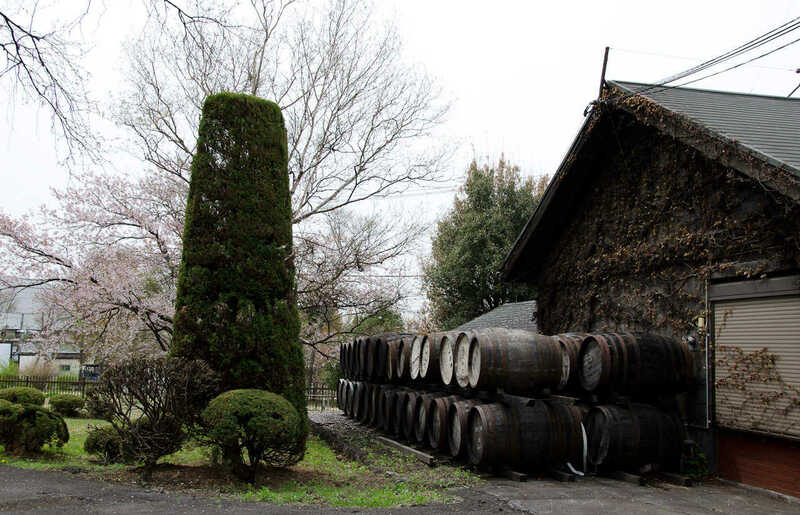 And so the tiny Karuizawa, founded 1955 by brewers – Miraku Breweries Corp, made a heavy style of Japanese whisky regarded poorly in its early years, and so was laid aside for decades to mature. 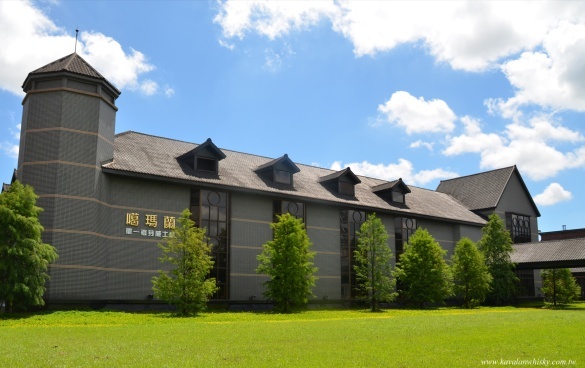 Meanwhile Miraku became Mercian, then acquired by Kirin in the 2000s, but a big business being a big business does what it must to stay afloat and Karuizawa was closed in 2011. 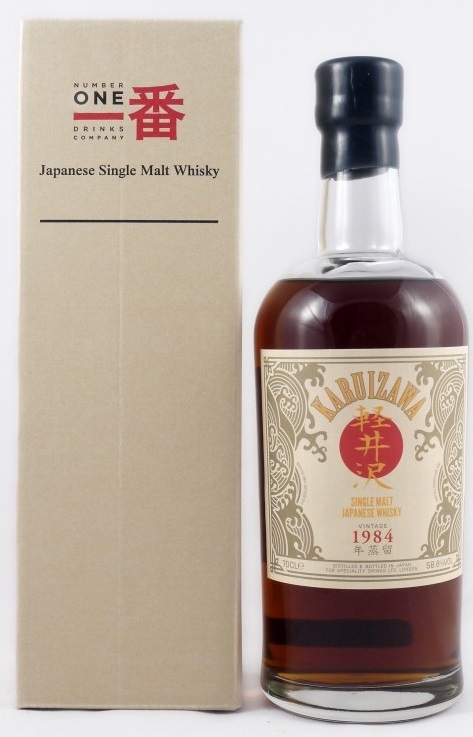 Then the whisky boom really took off, and then the Japanese whisky boom REALLY took off, and now one must offer an arm and a leg to get one of these at auction. There is One winner here. You may notice that all Karuizawa you see around today is bottled by Number One drinks, that’s because the entire remaining stock was bought up by Number One in 2011. 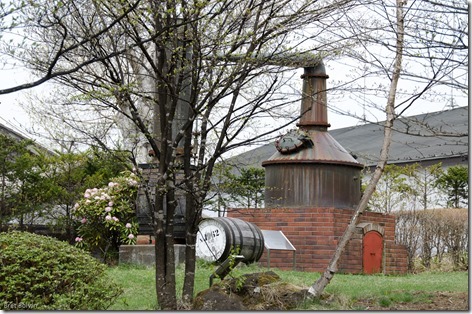 The distillery was built in 2005, it is therefore a child next to the weatherbeaten veteran that is Karuizawa, so expect everything to be entirely modern and mechanized. 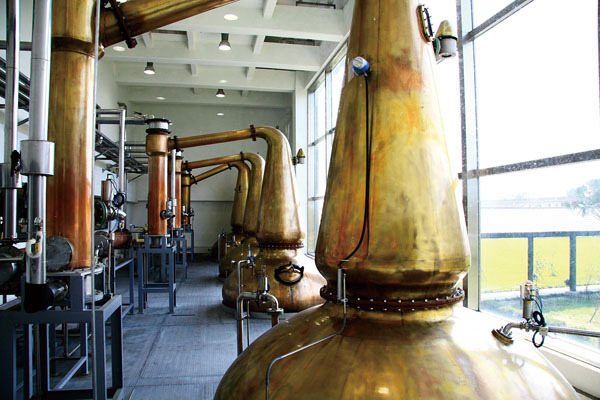 The scale is unthinkable, easily matching the largest of Scottish distilleries. 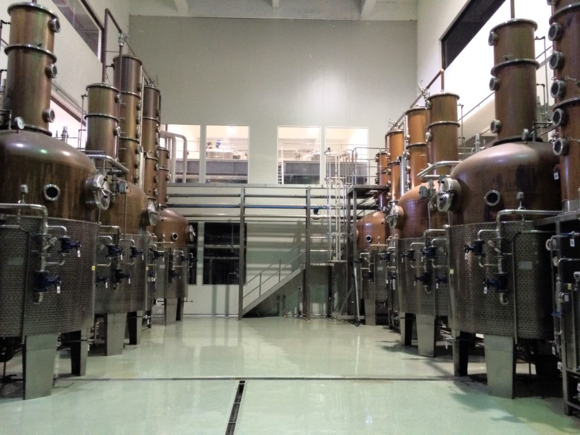 2 production lines exist, one for very Scottish pot stills, of which there were originally 2 pairs, and should have been expanded to 5 pairs by now. 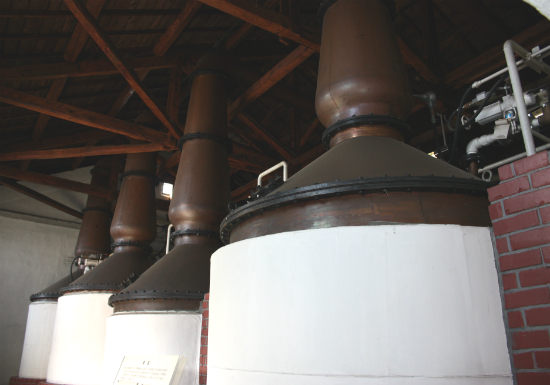 The other line was for 4 pairs of Holstein stills with pot bottoms and column tops – aha doesn’t this sound familiar? – which may or may not be used anymore, if it is used I expect the output of these to feed the blends, saving the single malt for single cask Solist bottlings. The total output can be maximised at an amazing 3.9million litres a year. Because of the climate the whisky matures quickly, much like their compatriots in Kentucky, so wood has to be of a high quality and warehousing carefully planned. 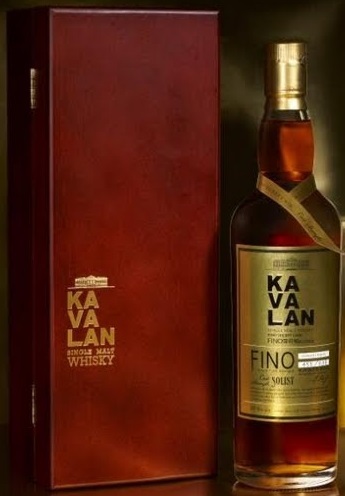 The last few years have seen the release of some very good sherry and wine cask matured whisky which really hinted at the soundness of their wood policy. One hopes they keep this up though the story is the same in all corners of the industy these days – sherry casks are in short short supply and the bulk of the fillings must go into ex-bourbon. It won’t be surprising to see less sherry solists and more bourbon in the future. Nose: Quite a lot happening here, there’s old sherry character – deep rich and dry. Rancio. There’s a newly opened cigarette pack -crisp, dry and aromatic tobacco leaf. Unwrapped milk chocolate bars. Black earth and compost – also quite earthy, some machine oil in rusty cans. Somewhat dirty too, like a grimy rag used to clean gas fired grills. Damp wood. All very full but softly rounded out and ‘inter-mingled’ with great balance and presence. Palate: Ouch, was not expecting that. The velvet gloves come off on the tongue. It’s bursting and in fact quite powerful. Oh yes it is 56.8% after all. No it’s not just the abv, somehow much more of a bruiser on the tongue than the nose would suggest. Loses a bit of subtlety because of its vibrance. But more farmy more menthol and still earthy. Finish: Long, damp wood, these medical hall herbs I get in old sherry casks. Tad musty. Very high quality and great maturation. Great focus of flavours. Really nothing to penalize here. In fact most of the early 80s releases have been very good. Nose: Much younger, cleaner, fresher and maltier by far. Fino is a completely different beast, nothing rancio or purple about this, instead I see lots of ‘yellows’. Butter, baked apricot pie, honey. Pineapple tarts, some roasted white nut like a brazil nut or hazelnut but certainly not walnuts. Also a bit of fermented bean in this. Finish: Fairly long but getting dry, cinnamon and honey. Hay stalks. Flavour is there, great development, but not very complex and definitely feels very young. Oh for 5 more years.. 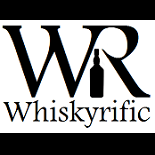 This entry was posted on March 5, 2016 by Whiskyrific in Karuizawa, Kavalan and tagged Karuizawa, Kavalan.